Contractor seeking award of 759 million euros for losses incurred. Italian oil and gas industry contractor Saipem is seeking 759 million euros in damages from Russian gas behemoth Gazprom over the closure of the South Stream gas pipeline. The Italian oil and gas industry contractor Saipem is intending to demand 759 million euros ($828 million) from Russian gas giant Gazprom over losses incurred as a result of the closure of the South Stream gas pipeline from Russia to south-eastern Europe via the Black Sea, reports the Russian business daily RBС. Saipem, which was involved in the construction of the underwater part of the South Stream pipeline, sent a request for arbitration to the International Chamber of Commerce in Paris against South Stream Transport B.V. (controlled by Gazprom) in November 2015, reported RBK on Feb. 1, referring to documents of the Italian contractor’s investors. South Stream Transport is an operator of the construction of South Stream’s underwater section, which was supposed to go under the Black Sea, thereby bypassing Ukraine, but was never constructed. The sum of the claim is based on the assessment of the work already done on construction of the pipeline, according to RBK’s source in the Italian company. According to him, this sum could be increased, in view of the losses sustained by the company due to the termination of the contract and penalties. A Saipem spokesman did not respond to a request for comment by RBK. 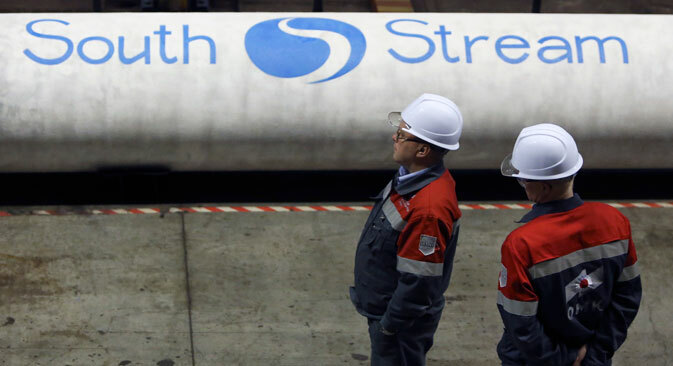 According to South Stream Transport, the company tried to negotiate a settlement of the dispute by peaceful means, but the Italian contractor decided to sue. According to a representative for South Stream Transport, the company intends to defend its interests and fully contest Saipem’s claims. Earlier Gazprom estimated the cost of the contract with Saipem at about 2 billion euros. But the pipeline has not been built due to the claims of the European Union that South Stream did not conform to the Third Energy Package, legislation that aims to open up energy markets in the EU and unbundle companies’ sales from their transmission networks. The project was officially closed on Dec. 1, 2014. The full version was published in Russian on the RBC Daily website.